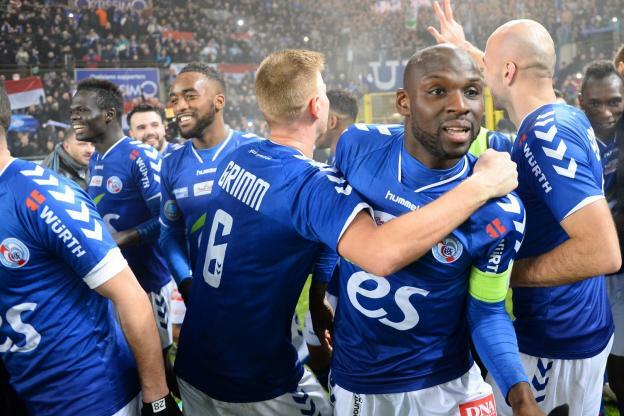 We are going to FRANCE: Ligue 1 - Day 16 at the Stade de la Meinau (Strasbourg) to the match between Strasbourg against PSG. The pick we are looking for is that at least we see 3 goals. The main reason for the pick is the PSG a very over team is leader of this French Ligue 1 with 43 points with a high average of 3.8 goals per game has been in the league so far 13 over and only 2 under, so is a team with a good attack already well-known with Neymar Mbape and Cavani. His victim this time are the locals of Strasbourg who are doing a more than decent campaign are 8th in the table with 21 points have an average of 2.8 goals per game with 7 over and 8 under. let's at least see 3 goals to small but good to combine, since the PSG is a very very over team and hopefully it remains so, luck to anyone who follows me.